Feb. 28, 2013 — NASA’s Van Allen Probes mission has discovered a previously unknown third radiation belt around Earth, revealing the existence of unexpected structures and processes within these hazardous regions of space. Previous observations of Earth’s Van Allen belts have long documented two distinct regions of trapped radiation surrounding our planet. Particle detection instruments aboard the twin Van Allen Probes, launched Aug. 30, quickly revealed to scientists the existence of this new, transient, third radiation belt. The belts, named for their discoverer, James Van Allen, are critical regions for modern society, which is dependent on many space-based technologies. The Van Allen belts are affected by solar storms and space weather and can swell dramatically. When this occurs, they can pose dangers to communications and GPS satellites, as well as humans in space. A new photograph of Mars suggests that huge lakes of liquid water might lie underneath the Red Planet’s surface. The find has raised hopes that life may have once existed on the planet – and might even still be there. Nasa said that the image “adds to an increasingly complex picture” of our nearest neighbouring planet. Researchers analysed data from the Mars Reconnaissance Orbiter spacecraft as it looked down on the floor of the McLaughlin Crater, which is 57 miles in diameter and over 1.4 miles deep. The picture showed that the crater was once deep enough to let underground water flow into its interior. Observations made with the Atacama Large Millimeter/submillimeter Array (ALMA) telescope of the disc of gas and cosmic dust around the young star HD 142527, showing vast streams of gas flowing across the gap in the disc. These are the first direct observations of these streams. 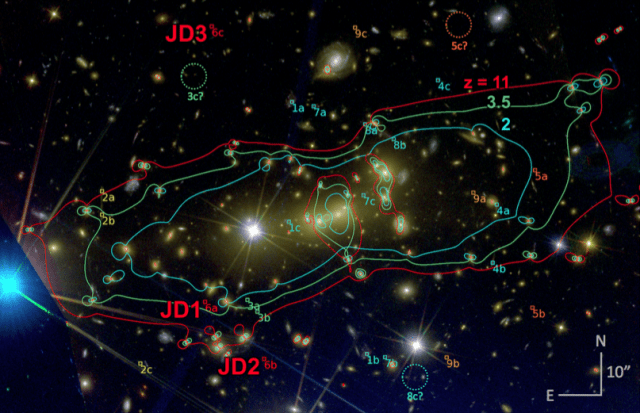 CREDIT: ALMA (ESO/NAOJ/NRAO), S. Casassus et al. Astronomers studying a newborn star have caught a detailed glimpse of planets forming around it, revealing a never-before seen stage of planetary evolution. Large gas giant planets appear to be clearing a gap in the disk of material surrounding the star, and using gravity to channel material across the gap to the interior, helping the star to grow. Theoretical simulations have predicted such bridges between outer and inner portions of disks surrounding stars, but none have been directly observed until now. Much of the internet is buzzing over upcoming “big news” from NASA’s Curiosity rover, but the space agency’s scientists are keeping quiet about the details. The report comes by way of the rover’s principal investigator, geologist John Grotzinger of Caltech, who said that Curiosity has uncovered exciting new results from a sample of Martian soil recently scooped up and placed in the Sample Analysis at Mars (SAM) instrument. “This data is gonna be one for the history books. It’s looking really good,” Grotzinger told NPR in an segment published Nov. 20. 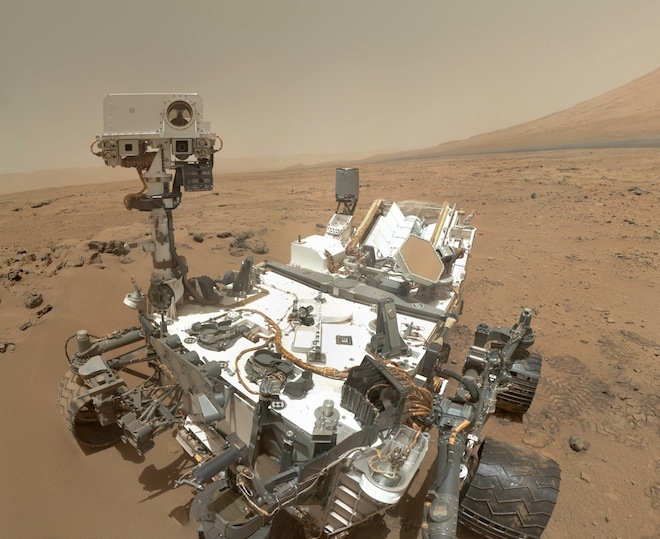 Curiosity’s SAM instrument contains a vast array of tools that can vaporize soil and rocks to analyze them and measure the abundances of certain light elements such as carbon, oxygen, and nitrogen – chemicals typically associated with life. The mystery will be revealed shortly, though. Grotzinger told Wired through e-mail that NASA would hold a press conference about the results during the 2012 American Geophysical Union meeting in San Francisco from Dec. 3 to 7. Because it’s so potentially earth-shaking, Grotzinger said the team remains cautious and is checking and double-checking their results. But while NASA is refusing to discuss the findings with anyone outside the team, especially reporters, other scientists are free to speculate. PASADENA, Calif. — NASA’s Cassini spacecraft has tracked the aftermath of a rare massive storm on Saturn. Data reveal record-setting disturbances in the planet’s upper atmosphere long after the visible signs of the storm abated, in addition to an indication the storm was more forceful than scientists previously thought. Data from Cassini’s composite infrared spectrometer (CIRS) instrument revealed the storm’s powerful discharge sent the temperature in Saturn’s stratosphere soaring 150 degrees Fahrenheit (83 kelvins) above normal. At the same time, researchers at NASA’s Goddard Spaceflight Center in Greenbelt, Md., detected a huge increase in the amount of ethylene gas, the origin of which is a mystery. Ethylene, an odorless, colorless gas, isn’t typically observed on Saturn. On Earth, it is created by natural and man-made sources. Goddard scientists describe the unprecedented belch of energy in a paper to be published in the Nov. 20 issue of the Astrophysical Journal. Living cells say: Can you hear me now?